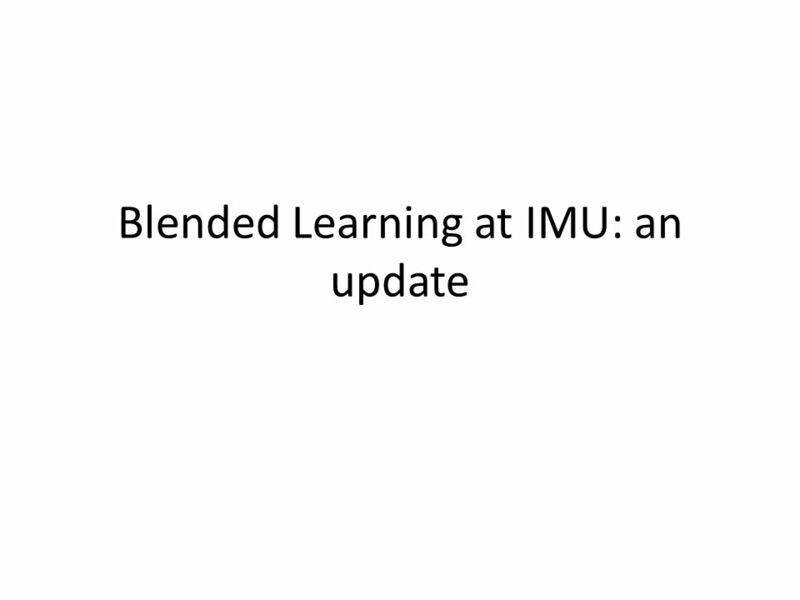 Blended Learning at IMU: an update. 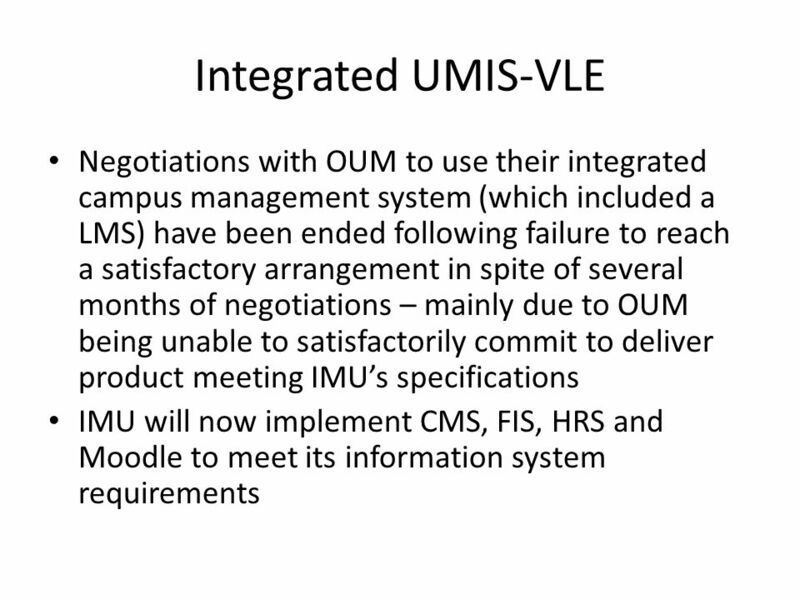 Workshop (end-2006) Decision Develop exemplars in blended learning Develop an integrated UMIS-VLE (commercial) to. 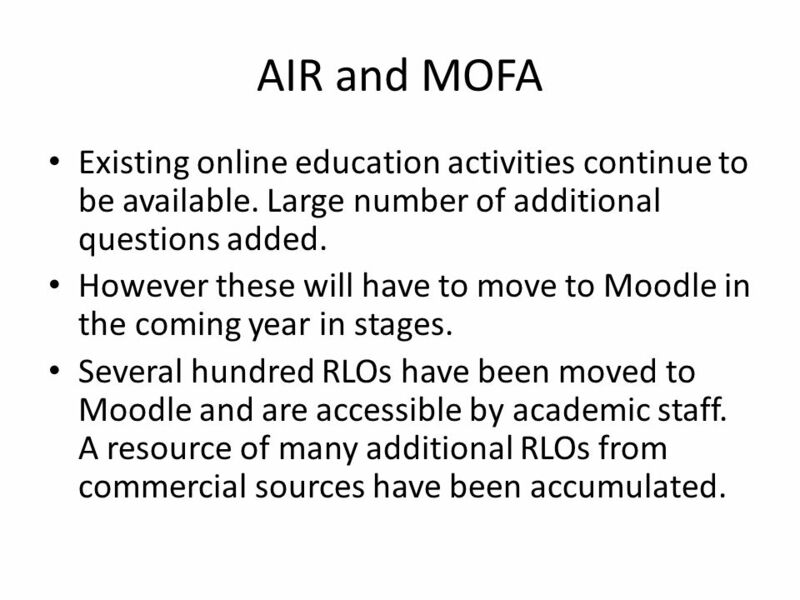 7 AIR and MOFA Existing online education activities continue to be available. 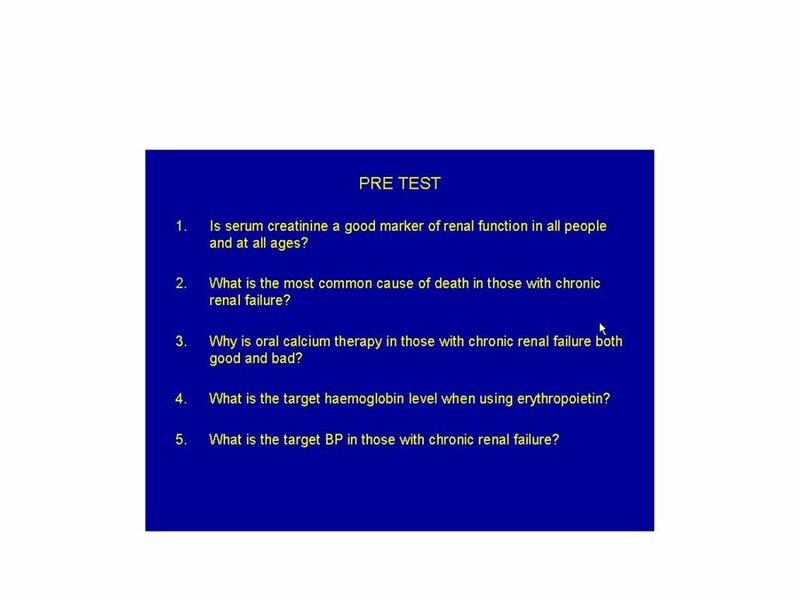 Large number of additional questions added. 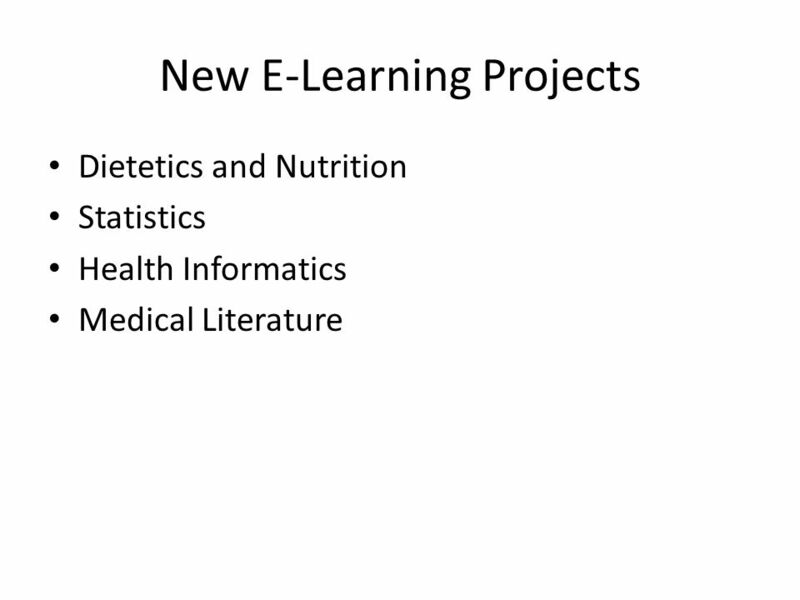 However these will have to move to Moodle in the coming year in stages. 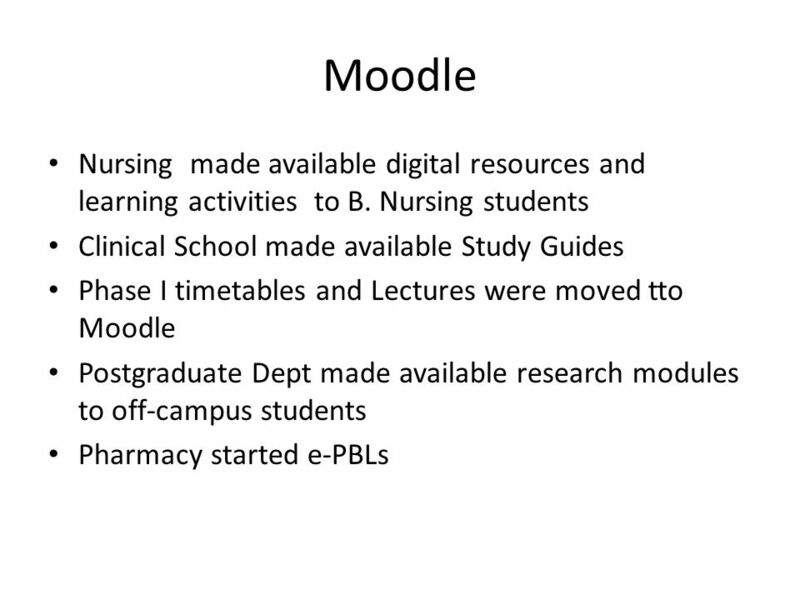 Several hundred RLOs have been moved to Moodle and are accessible by academic staff. A resource of many additional RLOs from commercial sources have been accumulated. 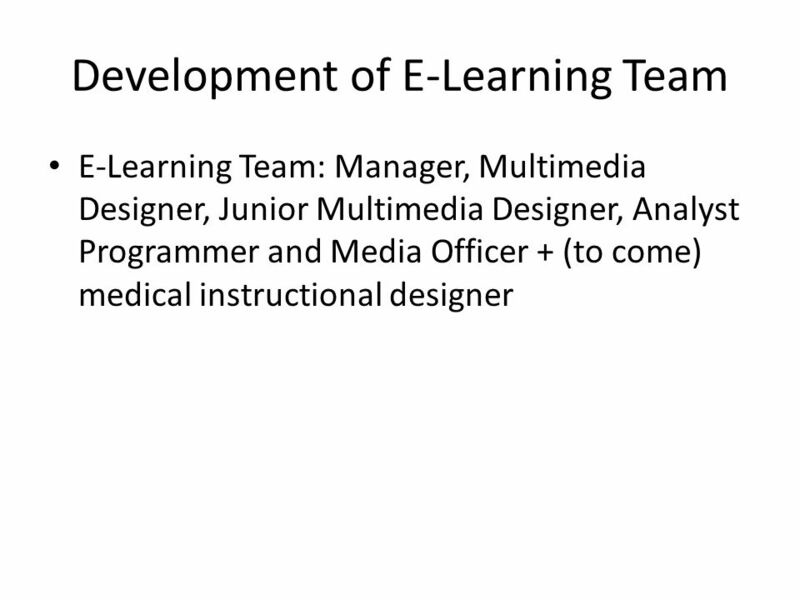 Download ppt "Blended Learning at IMU: an update. 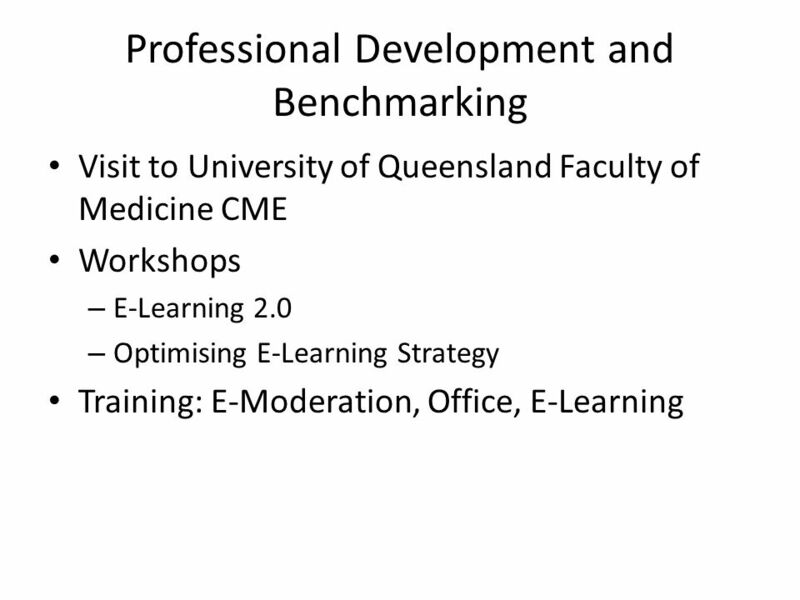 Workshop (end-2006) Decision Develop exemplars in blended learning Develop an integrated UMIS-VLE (commercial) to." Welcome Simulation Planning Workshop. 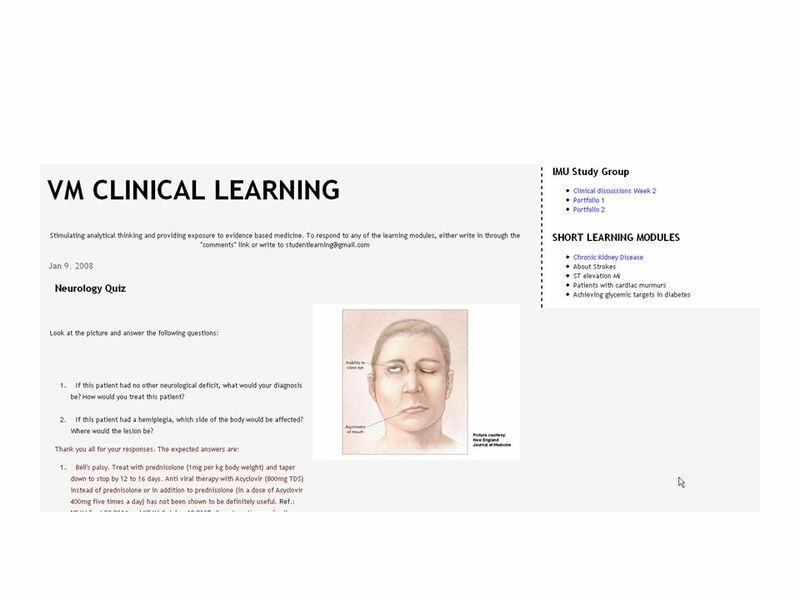 Todays Objectives and Goals Learn from others who have been through the process Use the Simulation Planning Guide. A timetablers perspective how to throw away the paper and pens and still stay sane Kate Steele School of Economics, Finance and Management. 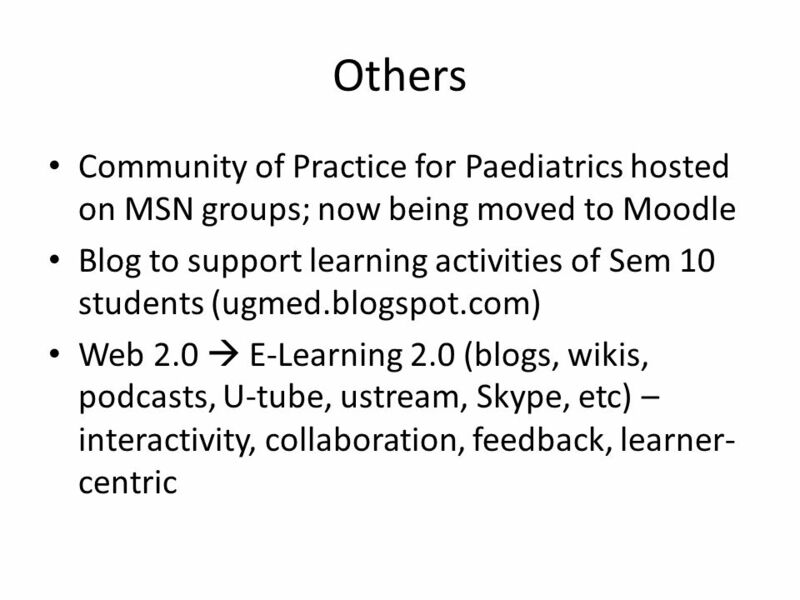 Weeks 7(2) 2007IS33 e- or m- everything 1 COMP3470 IS33 People-Centred Information Systems Development Week 7: Lecture 2 Domain: e- or m-everything School. Teaching and Learning Center Title V Impact Created a training classroom so that instructors may explore the newest technology available for them. Public Health Workforce Strategy Alison Ross, Policy Manager Public Health Workforce Strategy Public Health Transition Team Julie Alexander, Public Health. Transforming Course Design A CSU Funded Initiative. 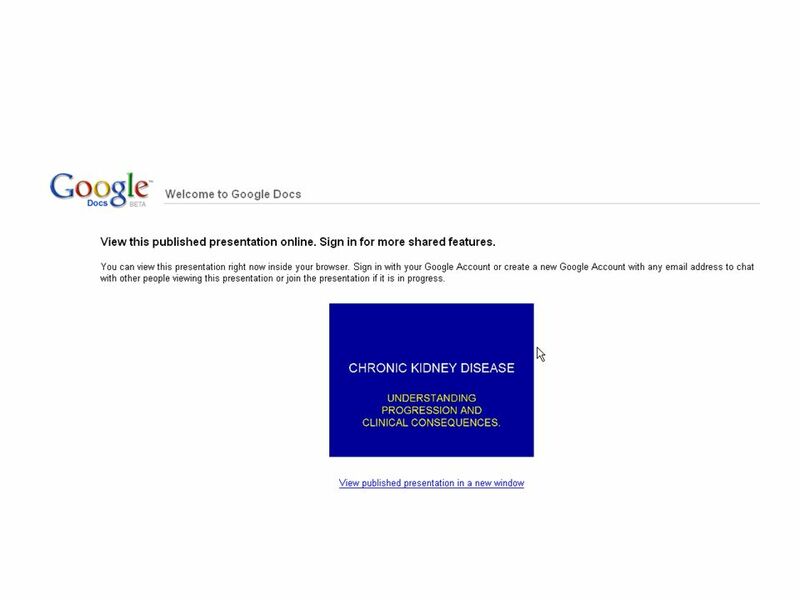 Using EHR to improve Quality and Patient Care: Lessons Learned from FQHCs Chiricahua Community Health Centers Inc. Edith Sampson, Risk Manager/Compliance. LMS RFP (LEARNING MANAGEMENT SYSTEM) The LMS Research Team Center for Instructional Technology December, 2011. WESLEY VALDES D.O. Investing in Leadership. Just Do It. Professor Julie Mcleod Pro Vice-Chancellor Learning, Teaching and the Student Experience Annual Conference for External Examiners Strategy & Overview. 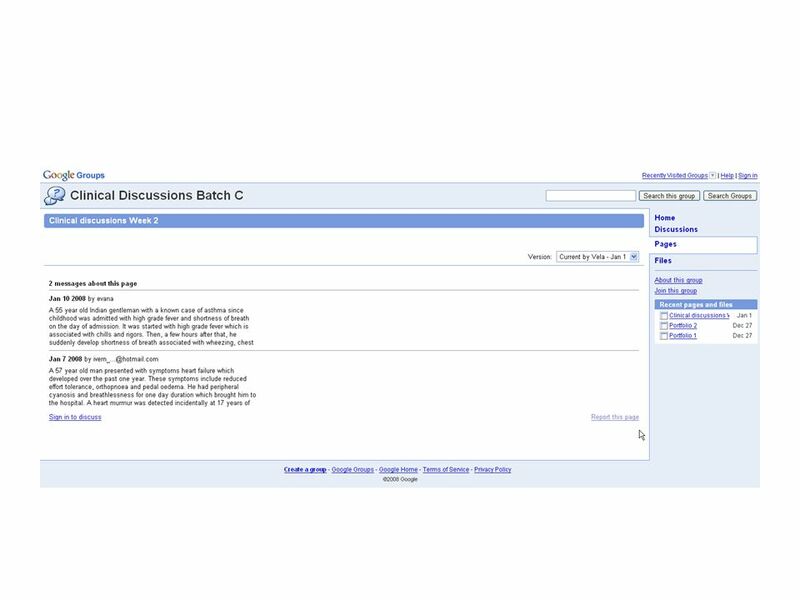 University VLE Implementation Project New University VLE: Progress Update Tony Cobb VLE Technical Team Leader.